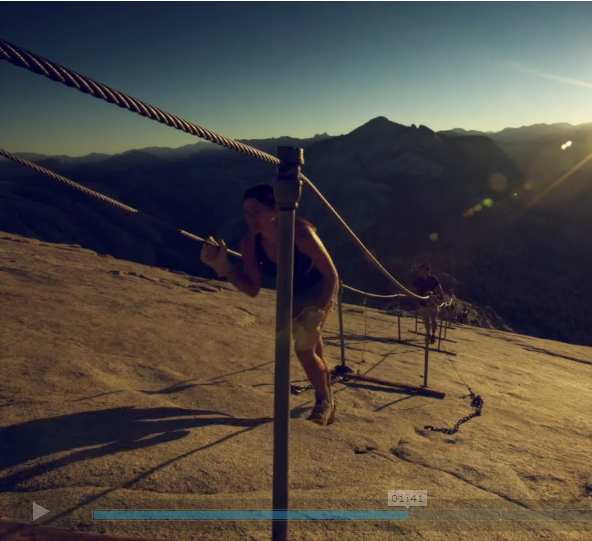 Recently a friend of mine sent me this Vimeo knowing I’d love it because of my affection for the Sierras and Yosemite. Yeah, it’s pretty freakin’ amazing photography. Not only that, but I got this deja vu feeling while I was watching. 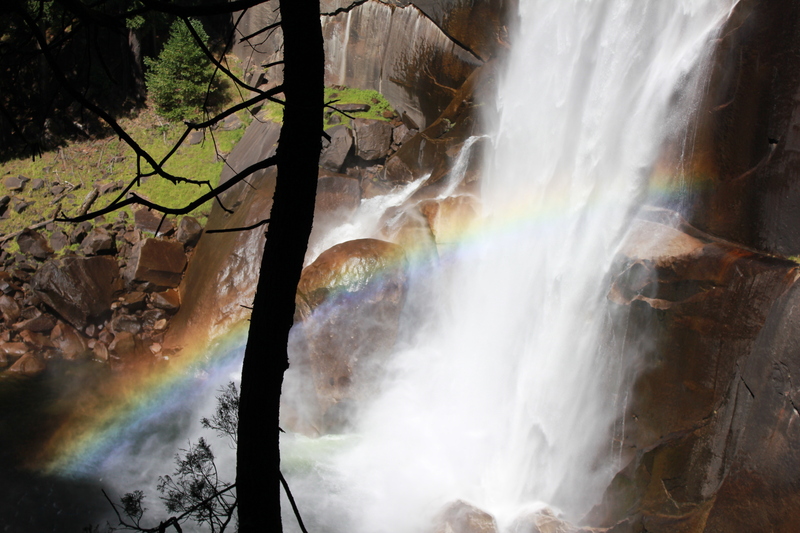 Like the video looked too similar to how Yosemite looked when I was there. And then I laughed at myself because actually Yosemite has looked like that for literally a thousand million years, so get over it! But then I watched it again. And again. And again. 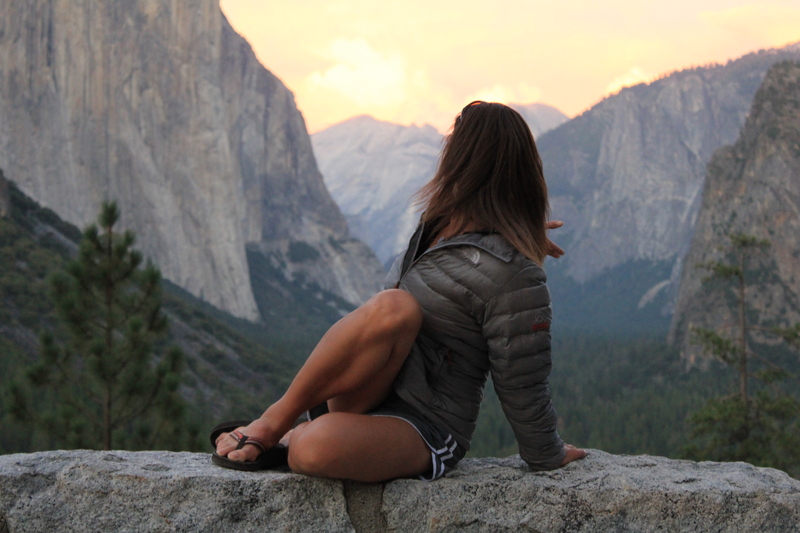 I recognized that fluorescent green micro-down jacket whizzing up Half Dome. And those looked an awful lot like my trademark hiking pig-tails! Sure enough, around time mark 1:36-1:41 (if you’re quick enough to pause there), in this incredible time-lapse photography Vimeo, you can watch our gang trudging up the cables at sunrise. Then it all came back to me. 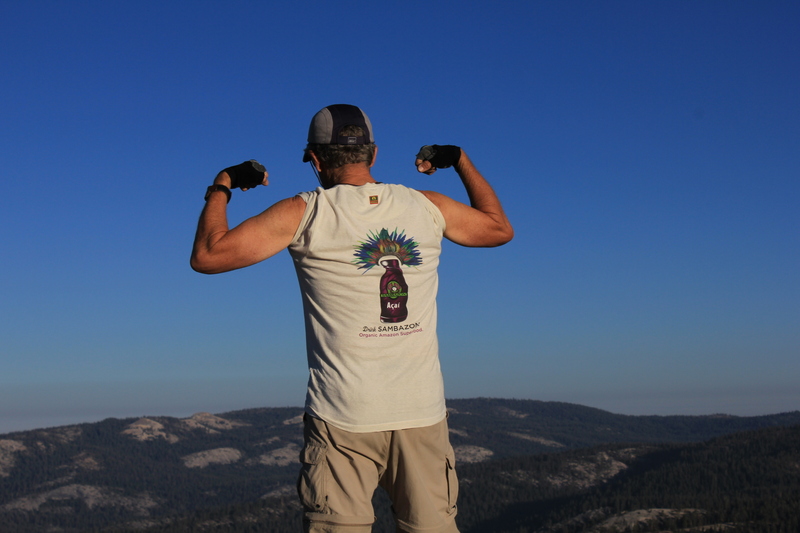 We were in Yosemite for a backpacking trip, starting at Tuolumne Meadows, making our way through some of the High Sierra Camps, including Cathedral and Sunrise, and then down to the Valley. 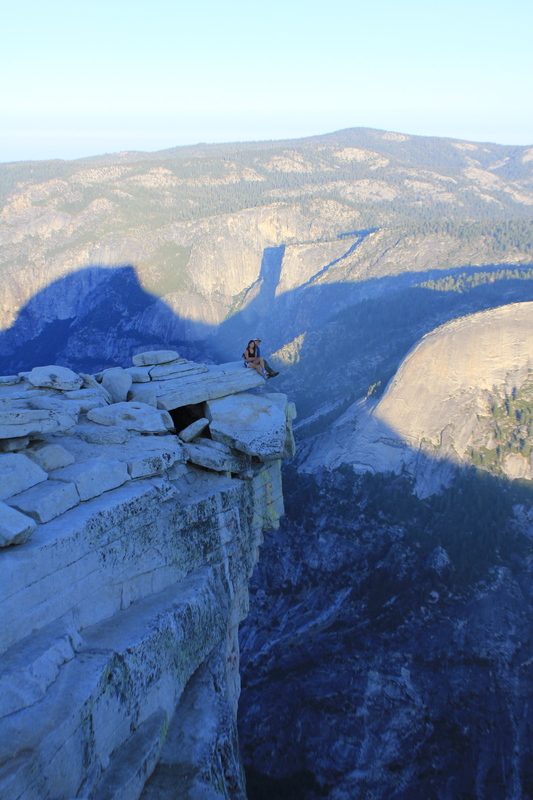 The day we approached Half Dome, it was getting too late in the afternoon to head all the way up, so we decided to hike up a ways, find a spot to sleep for a few hours, and head up for the sunrise. We couldn’t have planned it any better if we’d tried. 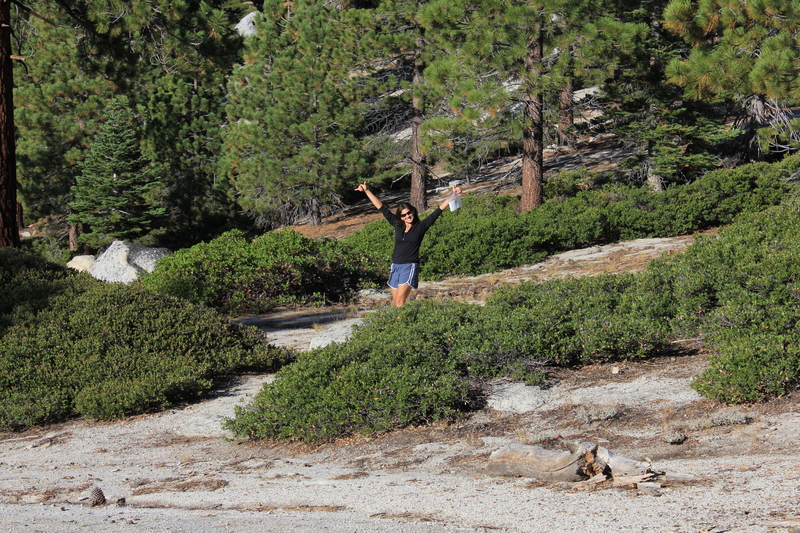 It was about 4pm when we encountered some guys along the path off the John Muir Trail (JMT) that leads to Half Dome. They were carrying camera lenses as tall as me and said they were headed up to “shoot from the rock overnight.” I had no idea what time-lapse photography was until they explained it to me that day; in fact I’d only just started using a “real” camera (not point and shoot) nine months prior. 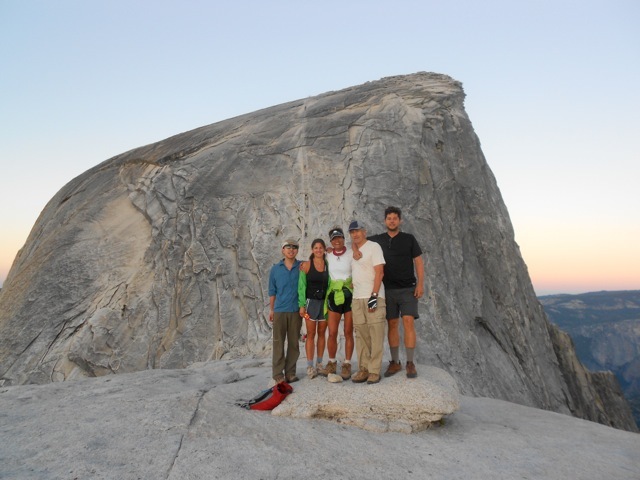 I was also impressed (and jealous) that they landed a permit to spend the night on Half Dome. The approach to the cables was nothing short of breath-taking. 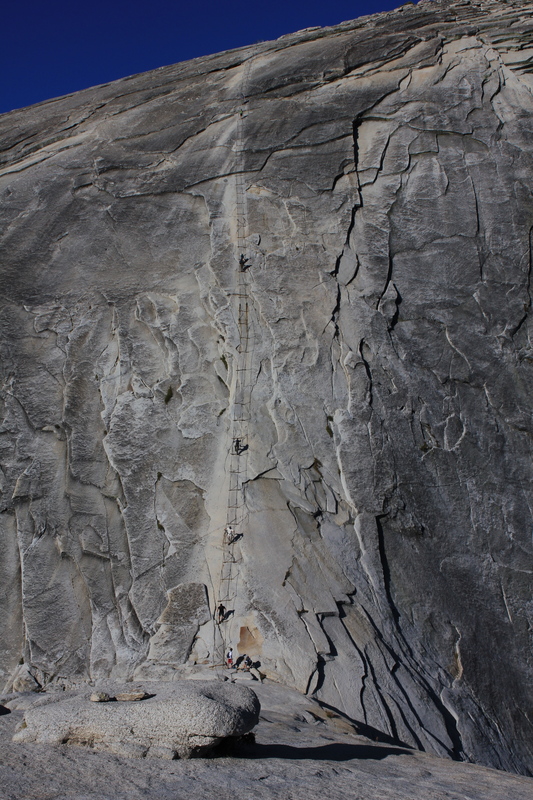 As we climbed, we saw our trail-mates from the day before with their ginormous camera lenses pointed right at us. 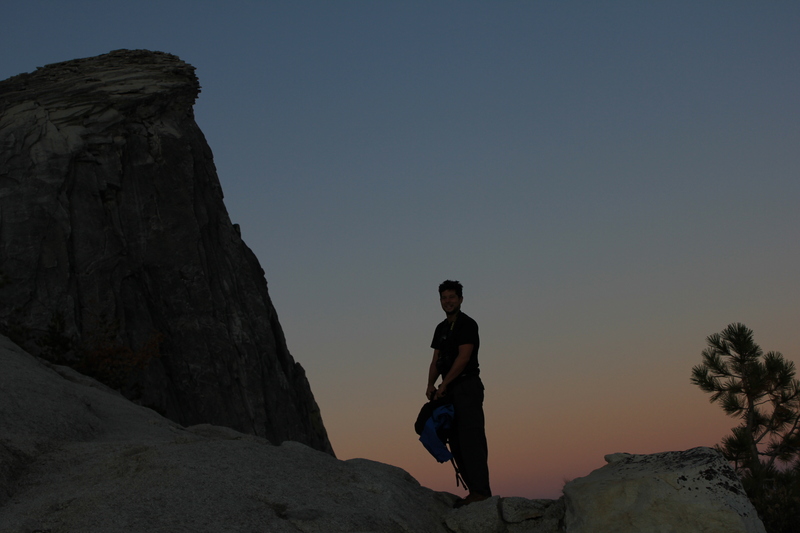 They indeed had spent a glorious night on Half Dome, filming the Valley, the sky, the rocks, and the pure beauty of the Wilderness without the foot traffic of people like us. They were putting on film the very reason we all climbed up that super steep rock that just about gave me vertigo when I looked down. Everyone made it up – the 30-somethings and the 70-somethings alike. 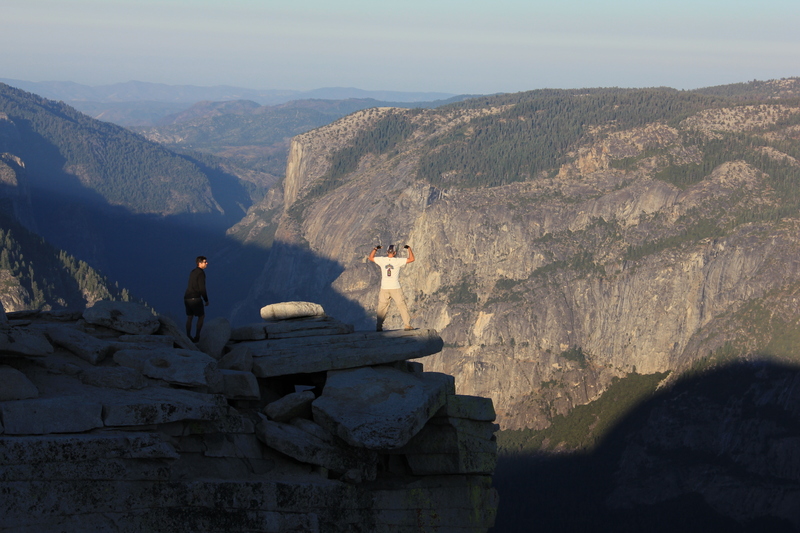 As if the day couldn’t get any better, I even had some bathroom success when I got down from Half Dome! People say they never forget where they were the moment they heard about the assassinations of MLK or JFK or 9/11. Well, the next moments coming down the trail started a memory for me that’s now similarly fixed in my mind…and associated with that beautiful video. As we descended down the JMT into Yosemite Valley, we passed a park Ranger around 9:30 am. She asked if we’d heard anything about a downed climber. The ranger was motoring up the trail for a potential rescue following a rumor in the Valley that a climber fell from the Northwest face of Half Dome that morning. 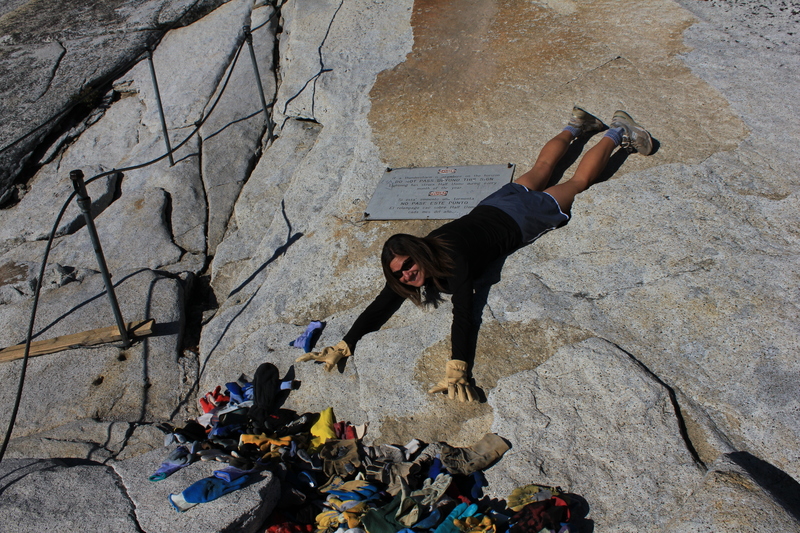 Fell from the rock we were just standing on a couple of hours ago…maybe even fell while we took all of those pictures on top…most certainly fell while the Time Lapse Photography was going on up there on Half Dome. It was true. 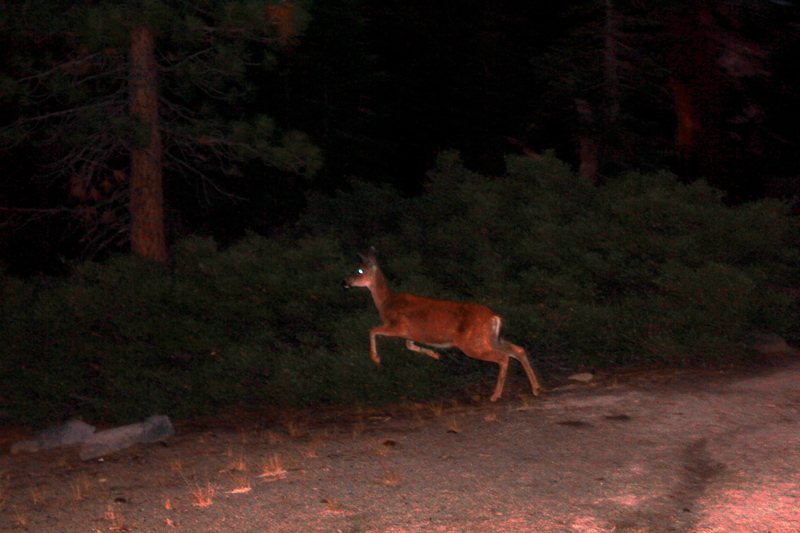 We found out from a doctor friend working at the Yosemite Valley Clinic that it was not a rescue, but a body recovery. 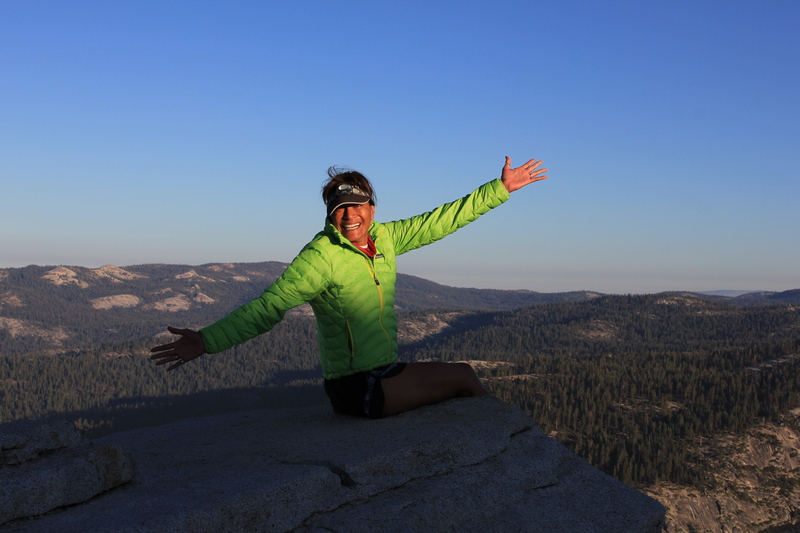 Markus Praxmarer, a well-respected Austrian climber, died instantly when he fell 700 feet in a freak terrible accident on the Regular Northwest Face of Half Dome on that September 19th that we were all up there. Praxmarer was lead climbing on a rope with three pieces of protection when a “body-sized” flake fell and severed his rope. 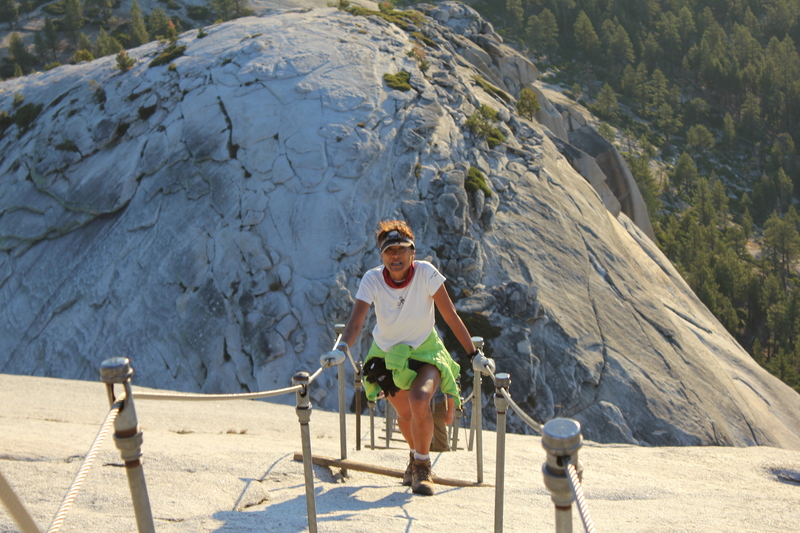 Everyone came down off Half Dome that morning after word got out, shocked and demoralized in the middle of this gorgeous place that demands so much respect for every activity you might do there. The video above is dedicated to that climber. Prepare – do your research before the trip. Routes, terrain, etc. Bring what you need and a little bit more. Train appropriately. Within that framework, seek out the beauty of the Wilderness.